Former UFC middleweight champion and New York native Chris Weidman highlighted a list of four fighters to receive extended medical suspensions in the aftermath of UFC 205. The New York State Athletic Commission (NYSAC) released the event’s medical suspension list to MMA Fighting on Wednesday. 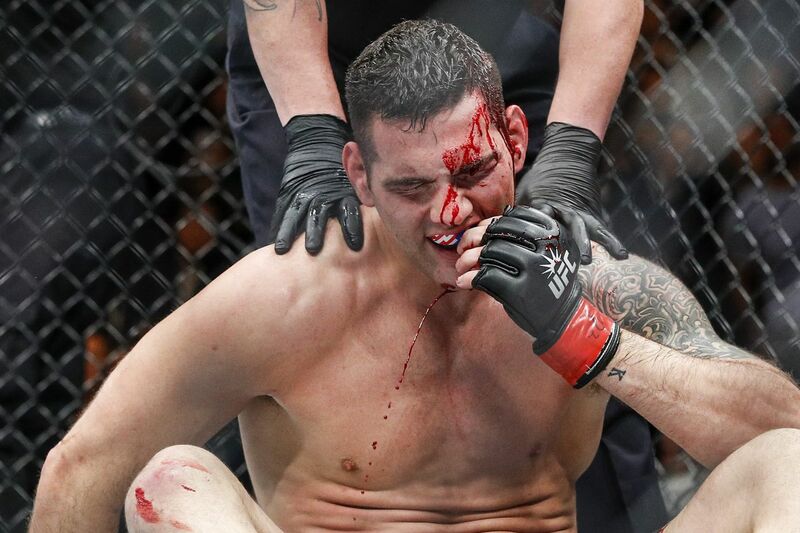 Fighting in front of his hometown crowd at Madison Square Garden, Weidman suffered a devastating third-round knockout loss courtesy of a spectacular flying knee from Yoel Romero on the night’s pay-per-view card. Weidman will now be required to sit for a minimum of 60 days before becoming eligible to seek clearance from NYSAC to compete again. In addition to Weidman, three other fighters received similarly lengthy medical suspensions: Vicente Luque (indefinite), Belal Muhammad (60 days), and Rafael Natal (60 days). UFC 205 took place Nov. 12 in New York, New York. The historic show was headlined by a champion vs. champion fight that saw Conor McGregor handily defeat Eddie Alvarez to be crowned the first two-division titleholder in UFC history. A complete list of UFC 205’s medical suspensions can be seen below.